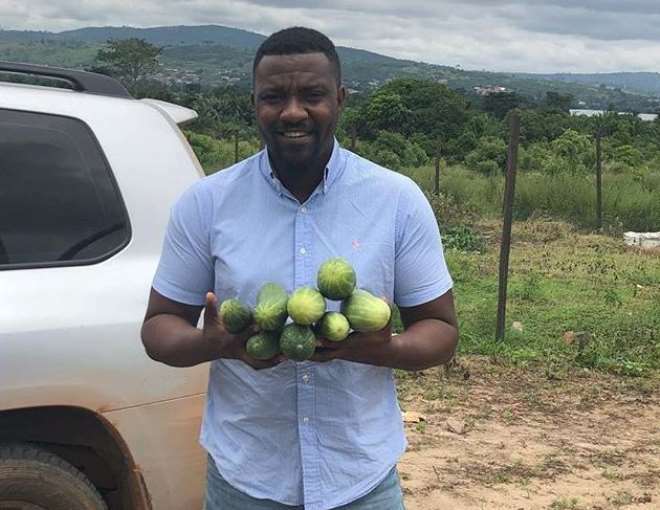 Ghanaian actor, John Dumelo, is really doing fine for himself not just in acting but also in other businesses like farming. Agriculture has been one sector the actor has spent part of his money on and for some time now, he has never regretted making such investment as he sure sees the future in Agriculture. The actor could not hide his joy seeing how his crops were yielding fine and it is already harvest period and part of his crop, Cucumber, is ready and buyers are trooping in to get them. He has various crops including cassava plantation and he is also into animal husbandry which have taken much of his time these days.